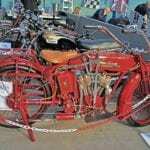 By 1929, the Scottish Six Days Trial (SSDT) had become a fixture in the British motorcycling calendar. Entrants, teams, officials and spectators fondly referred to it, then as now, as their annual ‘holiday in the Highlands.’ For most factories it was also essential to yearly development and marketing plans. 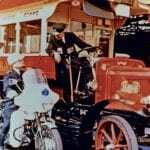 Minding the pennies during the cash-strapped late 1920s, manufacturers opted to miss the year’s proposed Stock Machine Trial, scheduled for March, to support the annual Scottish Six Days Trial (SSDT). 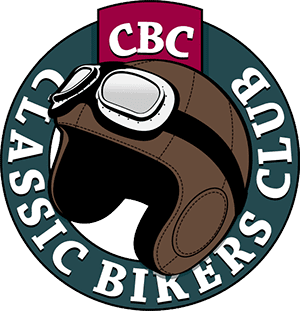 Since its inception as a five-day event in 1909, the ‘Scottish’ had been an important event in the annual competition calendar, but with no Stock Machine Trial the 1929 SSDT was considered even more valued by many factories. 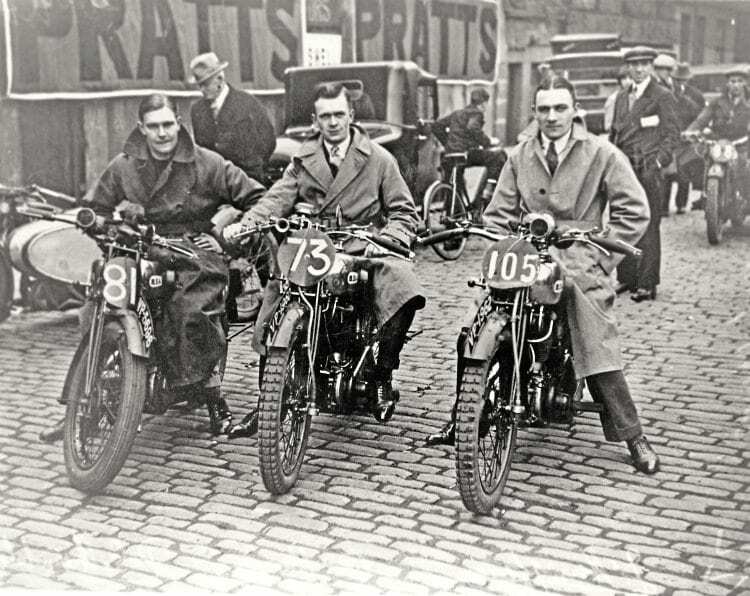 Pictured from left, Peter Chamberlain, Bert Perrigo and John Humphries – the 1929 BSA Scottish Six Days Trails team. latecomers were welcome for another week. 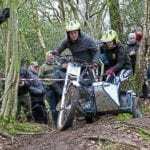 Early entries were an advantage as the organisers held weekly ballots to allot riding numbers and there was as always an advantage to ride the sections before 100+ machines had moved rocks and mutilated surfaces. 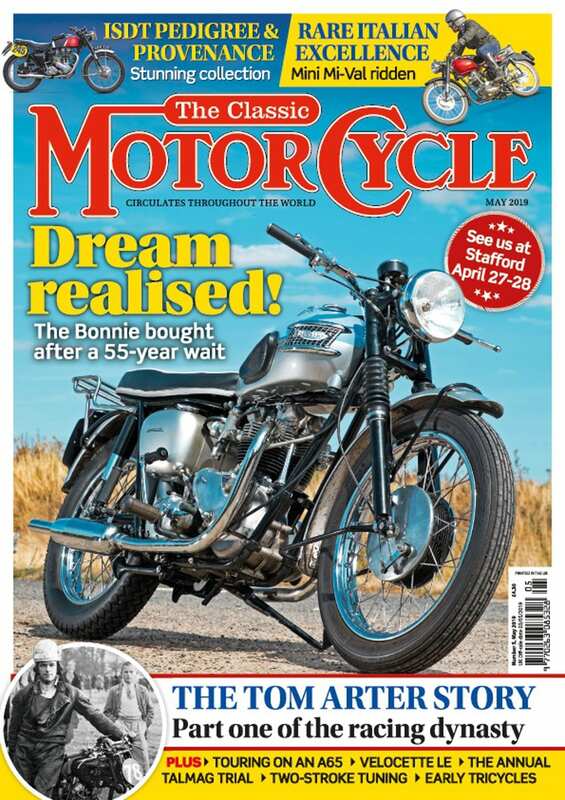 By final closing date, April 29, 112 entries had been accepted, ranging from 172cc Francis-Barnett lightweights – one driven by Brooklands ace Tommy Meeten hitched to a tiny sidecar – to 1096cc Morgans, including the factory entry of Morgan Motor Company founder Henry (HFS, 1881-1959) Morgan. 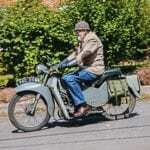 Six ladies – Betty Lermitte (346cc Royal Enfield), novice Margaret Newton (348cc Douglas), seasoned campaigner Marjorie Cottle (348cc Raleigh), Elizabeth Sturt (495cc Matchless) Edyth Foley (494cc Triumph) and Louie McLean (348cc Douglas) – were among the stated 116 starters. Why four more riders started than entered is lost in the mists of time.